See the 1.8rc2 Changelog for what’s been fixed since 1.8rc1. For a list of all issues fixed since 1.7.2, see previous 1.8 changelogs. @Jonathan – not sure why that /svn/tags/1.8rc2/ url is giving a 404. If you check out the parent directory at http://jquery-ui.googlecode.com/svn/tags/ you’ll see that site is only up to r3798 even though in svn we’re up to r3815. Must be something with googlecode not having the http (yet) in sync with the svn. Thank you, very nice sharing. @Demphest – Ticket created http://dev.jqueryui.com/ticket/5196. In the future, please report issues to the Developing jQuery UI Forum http://forum.jquery.com/developing-jquery-ui Thanks. When will ThemeRoller be repaired and made available for 1.8? I was part way through configuring a theme for 1.8 when it died. Hello, thanks for the nice work. 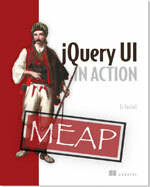 Question: Is the jQuery 1.4.2 included in the zip file legit? 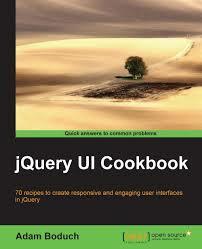 I don’t see it in jQuery site. Thanks for your great work – i would like to ask if you could augment the splitbutton demo? What’s the current status of 1.8? You mentioned it would be a couple days and it has now been almost 2 weeks without an update.